Today new Iran Map for Garmin devices exporting has been finished, but we did not informed in newsletter, because we are looking for possible bugs on it. Street map on Garmin Fenix Today I tried to install very small map on Garmin Fenix watch, I removed map details, even names to make map as small as possible. As you probably see on the picture, streets have no name and there is no details on Fenix screen. This map is useful for runners, hikers and anybody that need a guide map on his/her Garmin Fenix. 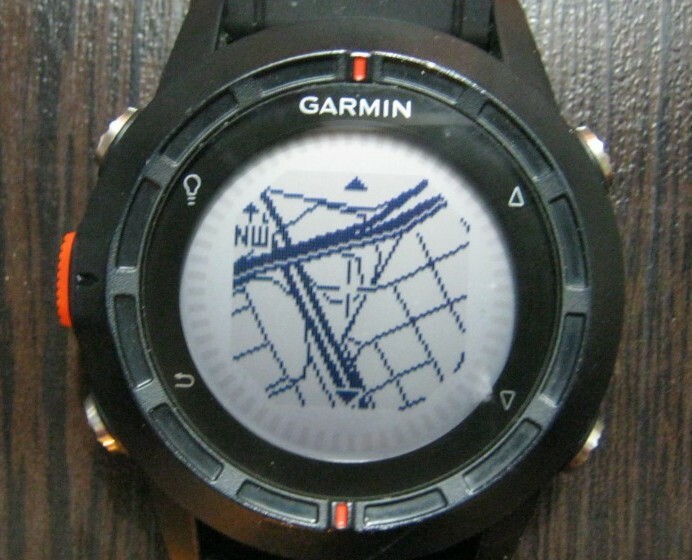 If you need any help to install map on your Garmin Fenix or Tactics let me know. I am too busy to answer your call about it, but emails are welcome ;). If you leave in Iran and like to have Tehran basic map on your Fenix or Tactics contact me. How to activate Navitel for Windows CE Navitel has different software for diverse operation systems, like Windows Mobile, Symbian, Android, iOS, BlackBerry, Bada and Windows CE. Navitel for Windows CE has been created for OEM (original equipment manufacture), or wholesalers that want to sell imported GPS enabled Car-DVD or PND with Navitel Navigation System. In this time, Navitel is not interested in retail for Windows CE version. MemNav as an authorized re-seller is ready to get orders between 100 to 1,000,000 licenses. On the other hand, MemNav mapping team is ready to help map providers to make Navitel compatible maps. For more information about Navitel ordering process and maps contact Sales [at] MemNav.com.